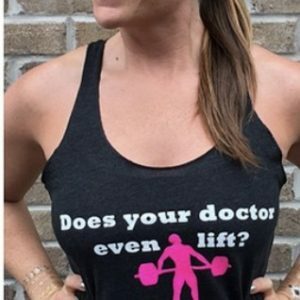 Does Your Doctor Even Lift? 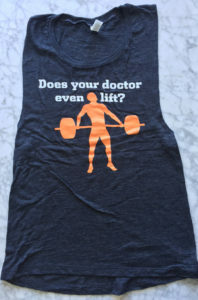 Show your doctor who lifts some love with this Bella muscle tank in Black Slub burnout with blaze orange lifter logo. 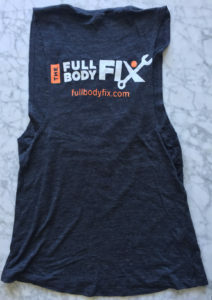 -Full Body Fix logo on back. 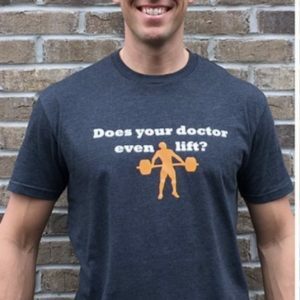 This idea was born out of repeatedly being told by my patients that other doctors told them to stop lifting to solve their problems. 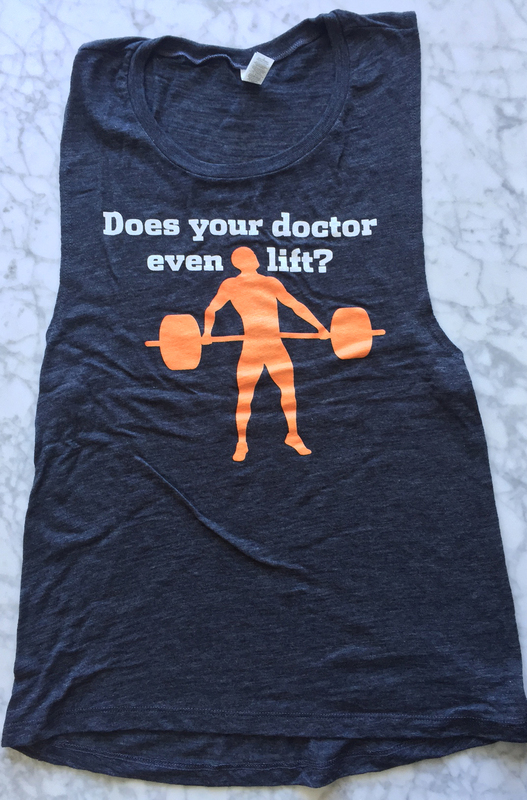 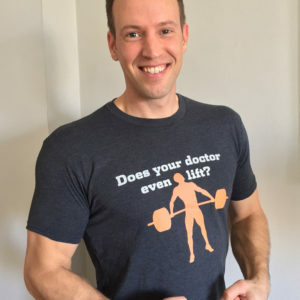 My response would always be, “Does your doctor even lift?” The point is, if you’re an athlete maybe you should choose a doctor who understands the drive, demand, and benefit of staying strong and fit.